The Nano-HS Series is a multi-axis, high speed, precision Nanopositioning system made up of two models, Nano-HS2 and Nano-HS3, offering picrometer positioning resolution, and XY or XYZ motion with maximum versatility. The Nano-HS Series utilizes PicoQ® Technology through its internal positioning sensors in order to provide absolute, repeatable position measurement under closed loop control. 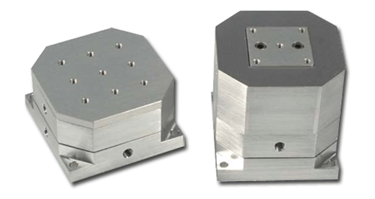 Characteristics such as the compact foot, a noise position of less than 2 picrometers on three axes, and a Z-axis resonant frequency of 5kHz make the Nano-HS Series ideal for meteorology, AFM, SPM, and any other high speed, high resolution positioning. For more product features, technical specifications, as well as drawings on the Nano-HS Series, download the datasheet.